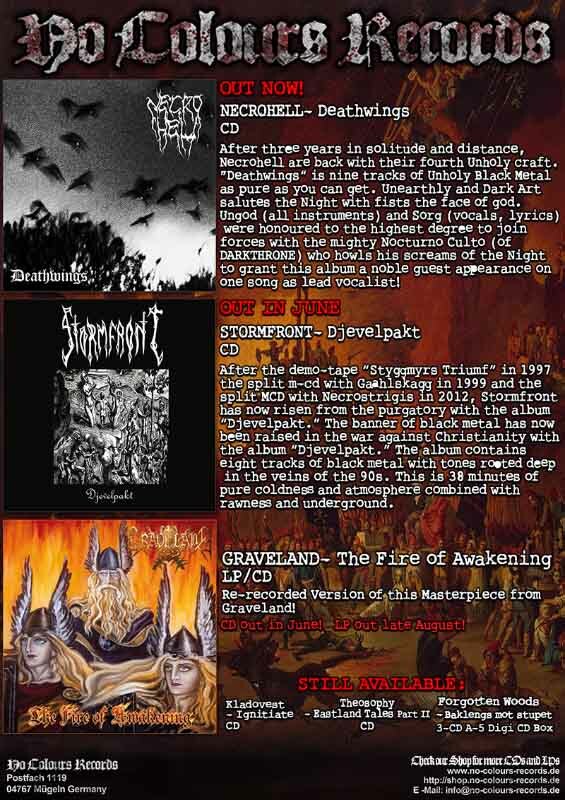 No Colours Records has repressed Graveland’s Ogień przebudzenia 2014 rerecording with the Lord Wind line up of Graveland’s 2003 album The Fire of Awakening. The CD is supposedly out now but No Colours’ web shop is closed until August 6th, when the LP comes out. More than half of the description for Necrohell is about how “hey and don’t forget Nocturno Culto is totally on this album!”, it must really stand up strong on its own!